Stability Chambers | Daiichi Jitsugyo America Inc. Chambers are perfectly designed for the high requirements of stability studies and climatic tests. 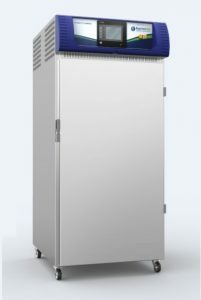 With Stability Chambers specifically developed to meet FDA/ICH stability requirements generating exceptional control and uniformity of both temperature and humidity. The Chambers feature various safety feature, audio visual alarms, 21 CFR part 11 software and a vast range of options and is the most preferred choice for stability studies. Every Chamber repeatedly produces required conditions, structural integrity that keeps the chamber working properly through years of demanding test cycles and measuring equipment’s that precisely records all test data. Above chambers are suitable for conditions such as 25oC / 60% RH, 40oC / 75 % RH and 30oC / 65% RH. Low RH chambers are also available for conditions of 25oC / 40% RH, 40oC / 25% RH and 30oC / 35% RH.